A council could become the first in Britain to ban silent discos – after complaints they are too NOISY. Officials at Edinburgh City Council says it is reviewing the use of the popular events over claims they make too much noise. Silent discos see people dancing and singing to music – they are listening to via headphones. 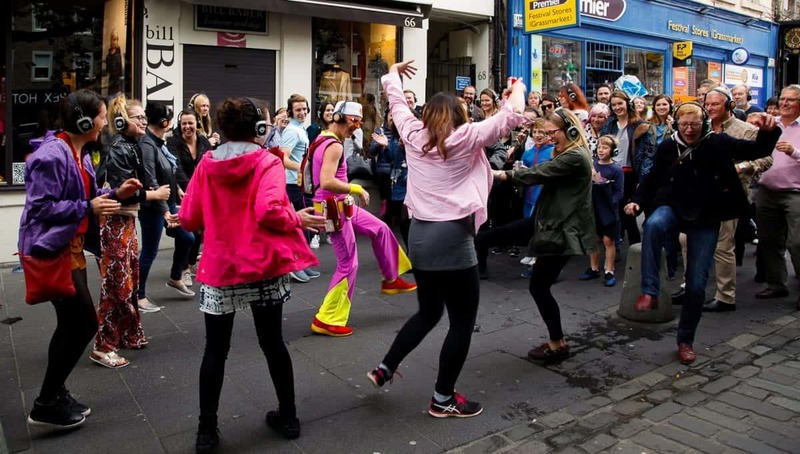 Edinburgh and other cities also have walking tours, combined with silent discos, which have proved a hit with hen parties and tourists. But Edinburgh City Council bosses are set to examine a report looking at an increase in complaints involving pavement obstruction and noise nuisance. Conservative councillor Jo Mowatt said: “Silent discos are not silent. “There is a lot of whooping and screaming, especially when you have 40 women on a hen party. “There is also the safety aspect as who is going to have to step in the road due to the groups taking up the pavements? Concerns have also been raised about the safety of revellers – saying there was a “risk to attendees if they walk into traffic or fail to hear approaching vehicles”. A Street Trading Licence is required for anyone carrying out a service for money in a public place. Howevere, it is believed a large number of traders are taking bookings and payment exclusively online or in a retail premises, meaning they avoid needing a licence. 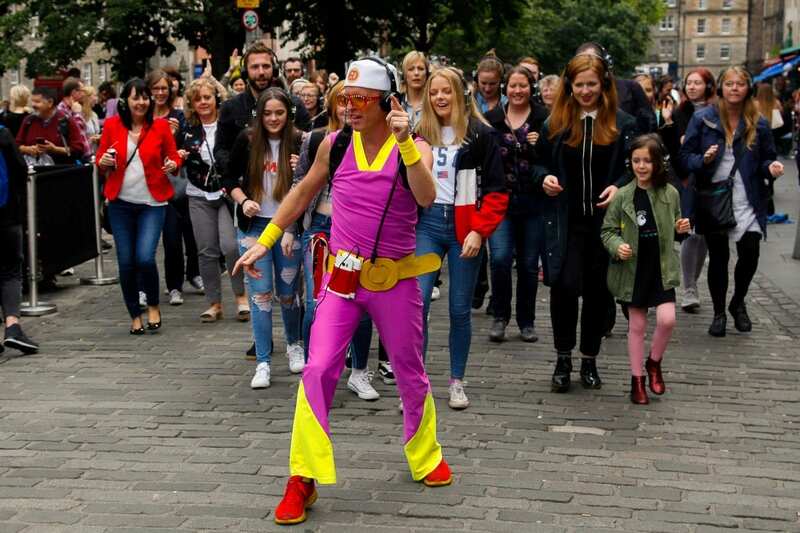 Organisers of a silent disco tour which operates all year round in Edinburgh called for guidelines to be created by the city council to stop ad-hoc tours popping up. Jay Feeney, marketing director of Silent Adventures, said: “We are the only operators in Edinburgh all year round. “During the Fringe there were about four tour operators running – I feel this is a bit of a punishment from the aftermath of the Fringe. “Some of them looked a bit out of control. Mr Feeney said the tours are organised to focus on the Royal Mile and Princes Street, and there is one guide per 25 people. People from the ages of five years old to 85 have taken part, including many Edinburgh residents. He added: “I did worry during the Fringe period that some of the other groups would get us all in trouble. “I do feel there should be standards across the board, and I’ve contacted the council. “I think if they look at the way we operate they will be pleasantly surprised. “It would be a huge shame for the city if there was a ban. Local politicians have written to the Scottish Parliament and the Scottish Government in order to update lawmakers on the issue. Councillor Mowatt feels there may be existing legislation available to use, it is just a case of finding it. She added: “I am always wary of introducing new legislation. “I feel there may be something in the legislation box already at our disposal and I think we need to double our efforts to see if there is something that already exists which we can use.